Four drawer Chest of Drawers from around 1830 - 1860. 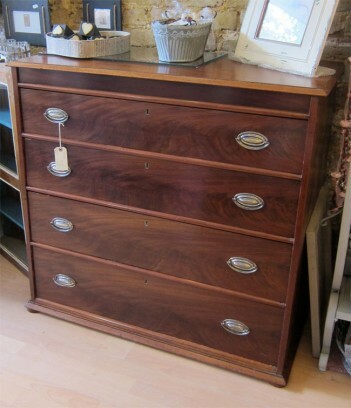 Solid Mahogany top, pine painted sides (so they look mahogany, very common during this period in the merchant classes), mahogany veneer drawers (fine dovetails), original blue liners, but with new handles. Please click on the photo and the thumbnails to see a larger image.